When did you start playing this sport and do you plan to play in college? Katie Hally started running in 6th grade and didn’t always start out as the cross country runner she is today. She started off doing more sprints but now enjoys and finds herself better at the distance events and plans on continuing her running career in college. To Katie, her brothers have played a huge role in why she chose to run. 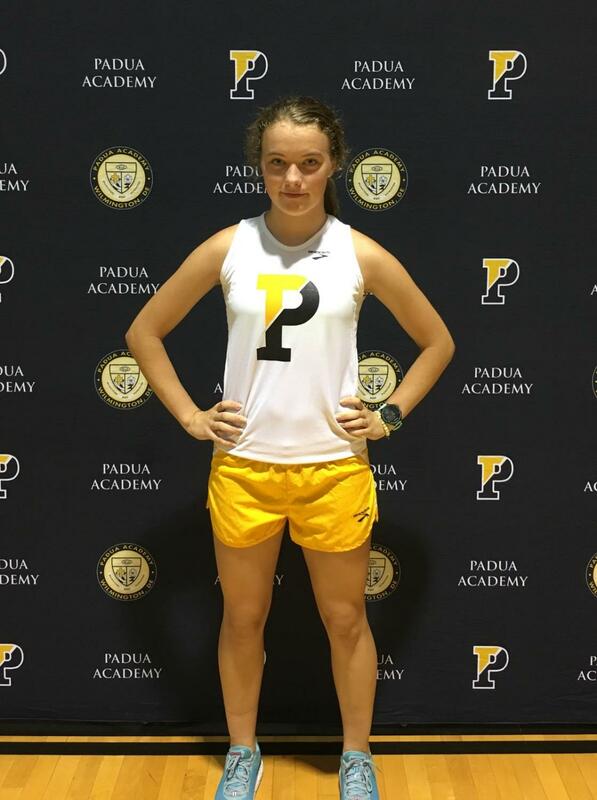 Both her brothers ran in high school and she saw how much they enjoyed it and would also see the Padua team and saw how nice the girls were and wanted to find something she was good at. What motivates you to compete? Do you have anyone who inspires you and why? Her brothers, who got her into running, and her favorite runner Emma Coburn inspire Katie. Emma Coburn competes in the steeplechase event and Katie aspires to run in that event in college. What was your favorite moment/memory while play this sport? Katie loves the moments when the team has won state championships and the team comes together with the trophy, everyone being so excited and happy because they know they have worked so hard to get the trophy.